Hello class and welcome back to Shipping 101! Today, we are going to board a new slash ship of mine–Stucky. This pairing has impressed itself upon my heart and has been gaining momentum since I experienced the wonder that is Captain America: The Winter Soldier. Now, I’ve been taught by the dear Admiral herself, the first rule of shipping is DO NOT SINK SOMEONE ELSE’S SHIP (which is why she and I don’t discuss Doctor Who ships or, apparently, Captain America slash). Yes, you may have your opinions and your preferences, but they don’t have to be mine and vice versa. I promise not to write a manifesto about Stucky if you promise not to force your ships into my harbor, so to speak. That means, if you don’t like it, don’t read it, simple as that. 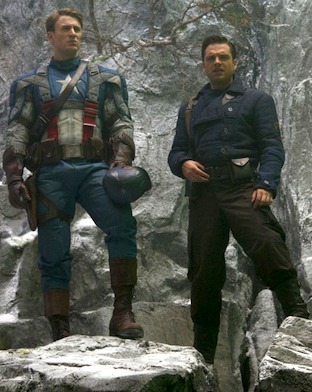 “Stucky” is a slash ship pairing between Steve Rogers aka Captain America (Chris Evans) and his lifelong companion and friend, Bucky Barnes aka The Winter Soldier (Sebastian Stan). While I do not claim to be a Marvel comic book aficionado, I am a Marvel movie fan. My appreciation for the films has caused me to explore the Marvel Universe through cosplay, film and even develop an interest in the comics–although I am wary of attempting to go through 70+ years of comics just to prove myself worthy to talk about Marvel. Still–and trust me I’ve heard it already–I DO recognize that this beautiful ship is NOT canon according to the comics (although, I beg to differ in terms of the films). The relationship between Bucky and Steve is complex. They have cared about each other since before Cap was injected with the serum, before Bucky was brainwashed to become the Winter Soldier, before the war and the Avengers. If Steve is a man out of time, Bucky is the only person on the planet who can empathize because he went through the same type of shock. Both men were physically and mentally manipulated to become soldiers for organizations that look only to the bigger picture–not caring so much for the individual as for what that individual is capable of. Bucky and Steve share a unique experience because they have known each other since before becoming super-personas for prospective government agencies. In the films, the pair began in Brooklyn together, Bucky physically defending the brave and foolish pre-serum Steve Rogers each time the scrawny youth got in yet another fight with a bully. 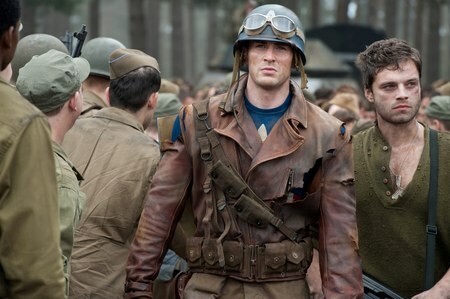 At first, we see Bucky heading out to war while Steve is left behind because of his physical inability to be a soldier and then, post-serum, the relationship shifts to Bucky being rescued by his friend, who is now THE Captain America–a strong and courageous hero, respected by the entire country. In the end, they are equals, not that it ever mattered to either of them. What I love about this ship, is that much of the fanfic focuses on Bucky and Steve caring for one another for nearly a century and then coming back together to renew their relationship which is made richer because of their shared history. Excuse me as I sob grossly in the corner while you watch the video below. When Bucky is revealed as the Winter Soldier, the HYDRA agent hunting down Captain America and his crew, it breaks Cap’s little heart and yet he never gives up on the friend who never gave up on him. TWS film ends with Cap pulled out of the river by Bucky, who defeats HYDRA’s mental programming because of Steve. Where the movie ends, the fanfics begin. Discerning writers flesh out the intricacies of Steve and Bucky’s long time friendship; sometimes the love is new and sometimes it dates back to the 40s and a time when a love like theirs would have been socially unacceptable. It’s really quite sweet to imagine these two renewing their relationship after being apart for so long, suddenly in a world far more accepting than the one they started out in. I must say, I am so glad I stumbled onto this ship. I promise, you will be to. 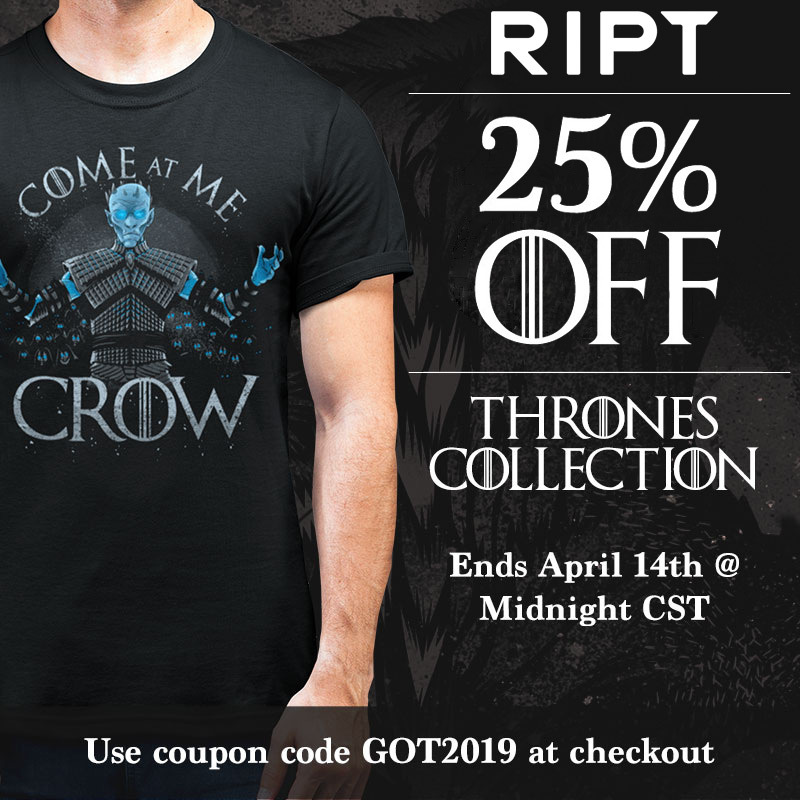 Here’s some stuff to get you started. Oh, and p.s., Sebastian Stan has said Marvel’s signed him for 9 films, total. UMM YES PLEASE AND THANK YOU. There will be a test on Twitter.